Babies laugh on average 400 times a day. Once you get to over 35 this has dropped to 15 a day – and, a recent US Gallup poll showed, we laugh less on a weekday than a weekend. Is this because we are at work and so often work is not fun? Is humour something that is no longer relevant in a politicised workplace? Or should leaders be thinking about the role of humour in their organisation culture and in their approach? This week I was lucky enough to be the host for a great panel discussion on ‘Humour as an engine for growth’. It was organised by Upstream, the community of connected and creative people who live or work in the borough of Hammersmith & Fulham or nearby (sign up here if you’re interested in being part of this). There were five smart and funny humans on the panel – all sharing their stories about using humour to help businesses and people grow and develop. We covered a lot but here are some espresso takeaways. Sarah Archer, the stand-up comedian and international playwright, referenced research which shows that presenters that use humour in communications are seen as more competent (and amazingly this seems to still work even if the jokes aren’t actually funny!) When preparing a speech, Jeremy Nicholas, the broadcaster and media-training coach said, many worry about inserting jokes. Instead just focus on storytelling as a way to humanise and add humour. This storytelling approach can help set an open, inclusive mood for teams. Done successfully humour in the workplace isn’t just about comedy (great gags, wittiness and clowning), but a pervasive sense of humour which helps make for a culture of acceptance of failure, a workplace which is fun and one which recognises the reality and frailty of humanity. Being in a situation where humour is encouraged can help people in teams feel ‘psychologically safe’ (that what they say won’t be judged negatively). There is confidence in allowing humour in a speech and in a workplace environment; it relaxes people and makes for a more attractive place to work. Paul Coleman is the BAFTA award winning writer behind Peter Kay’s Car Share amongst a number of other successful shows. He talked about how important it is to manage your own mindset when trying to be creative. When he writes he steers clear of (depressing) news. He cautions against people running creativity or innovation sessions not thinking about setting the mood right at the start. I’m sure you’ll all recognise the away-day phenomenon when the organisers think ‘we’ve paid for the venue, we’ve got time together, let’s squeeze everything in.’ So they start with a report on the sales numbers bringing everyone into the prosaic reality of the everyday…. And then say ‘and now let’s do some blue sky thinking and have fun; let’s be creative together… Pfft. How to destroy the fun. Tip: at the start of meetings, find ways to get people in a discovery mindset not a defensive one otherwise playfulness, humour and fun will fall by the wayside (destroying the potential for original ideas). Want innovation and creativity in your teams? Make playfulness part of your culture. Paul Coleman works with companies on their innovation and creativity and his advice is to ‘be more curious and childlike.’ Playfulness helps build resilience (laugh at the failures together) and those with a comic approach can bring different and original perspectives. Steve NorthGeneral Manager of UKTV’s Comedy and Entertainment channels works in a company dedicated to nurturing creativity in its content – and in its people. The comedians who are behind Dave’s hits (like Alex Horne and Dave Gorman) come into UKTV’s Hammersmith headquarters which is great fun for the teams there – and they bring a very different perspective in looking at problems. Comedians are trained to look differently at questions and to be very sharp on human observation; these skills are important in the workplace. Sometimes you need a ‘safe space’ for the humour and creativity to flourish. You may need to set up a situation where people can be comfortable with saying risky or crazy or silly things without fear of them being ‘published’. But don’t be naïve about Chatham House Rules (as Boris Johnson learnt recently) and do be aware of the potential implications of certain jokes and how you are communicating them. Sarah Archer helps people to use humour in advancing their careers and believes fervently that it can propel careers forward. However, she cautioned about the context and shared the achingly bad tale where the PR exec Justine Sacco lost her job over a badly misjudged tweet sent to her 170 followers before she boarded the plane from Heathrow to South Africa ‘Going to Africa. Hope I don’t get AIDS. Just kidding. I’m white!’ By the time the plane landed 11 hours later she was number 1 trending on Twitter and her career was over. Not funny. If you are nervous about misjudging what’s funny, don’t kick the underdog. Humour has to be judged in the right context. Steve Cross who works with scientists, tech-people and engineers helping ‘make clever people funny‘ shared a brilliant rule of thumb to help with judging this: Make sure you always punch upwards. Mock the boss not the nervous intern. Never make your customer feel laughed at (Gerald Ratner’s disastrous business-destroying speech where he said ‘our products are crap’ was disrespectful of the people who had bought his products and made him rich…). Never mock the minority. Choose a robust target and don’t prioritise comedy over camaraderie. Self-mocking and self-deprecation is a safer target too and if you’re a senior leader, humour over your own personal failures can lead to a more human approach which also allows failure to be acceptable. Nurture constructive humour and make it part of your work because humour helps accelerate the teams, the creativity and the business success you need. Harvard Business Review article shows laughter brings can bring great things to the workplace. Research from a variety of sources including Wharton, MIT, and London Business School provides evidence laughter relieves stress and boredom, boosts engagement and well-being, and spurs not only creativity and collaboration but also analytic precision and productivity. The panel experts all agreed that the benefits of nurturing humour in people and presentations had proved invaluable in building relationships, understanding, motivation and success and in creating a workplace where people are inspired and motivated to want to be there. Get it right and you’ll be laughing all the way to the bank. 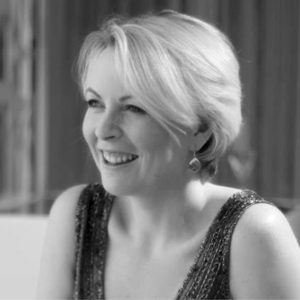 Experienced business leader, entrepreneur & brand specialist who works with senior leaders to grow businesses at pace and with a clear sense of purpose. Author of Superfast: Lead at Speed, published September 2018.